Capitalizing on the aspirations of kids who dream of becoming architects or digital artists, the College of Architecture offers two weeklong summer camp experiences for college-bound students seeking careers in built or virtual environment fields. 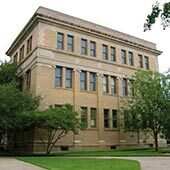 A safety education lab in Francis Hall, future home of Texas A&M’s Department of Construction Science, will be built with a $150,000 contribution from Marek Brothers Systems, Inc., a Houston-based builder. The gift is a major contribution to the $8 million renovation of the historic building, scheduled for completion in fall 2014. 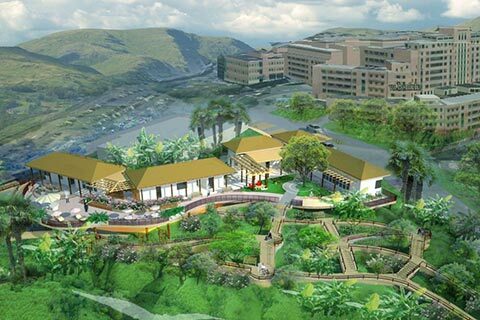 The donation to the building’s renovation campaign will be combined with funding from the university. Francis Hall, future home of the Department of Construction Science, will include an office suite built with a $250,000 gift from the Construction Industry Advisory Council to support its membership, career fairs and internship program. Visualization professor Ann McNamara is performing augmented reality research with a prestigious National Science Foundation grant. Imagine navigating an unfamiliar city street aided by a mobile device that follows your gaze, annotating the landscape and instantly identifying landmarks, or visiting a museum with a similar tool that identifies and interprets each exhibit as you peruse the collection. This technology combining real and virtual worlds, "mobile augmented reality," is the subject of a five-year, $529,862 study led by Ann McNamara, assistant professor of visualization at Texas A&M University and 2013 recipient of the National Science Foundation's prestigious Faculty Early Career Development Award promoting junior faculty development and research of the highest quality. Disparities between the energy performance potential and actual energy use of four buildings in Qatar and the causes of those disparities will be investigated by a research team led by John Bryant, an associate professor of construction science. 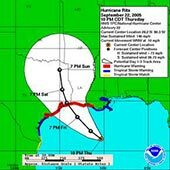 In the first large-scale study of its kind, Texas A&M researchers are investigating how storm forecast graphics, such as those depicting potential storm paths with cone-shaped regions of uncertainty, influence public decision-making. Graduate architecture students developed a software tool to determine a building’s potential energy use from its design, as well as its rainwater harvesting potential and other characteristics as part of an architecture class project. A design efficiency checklist for medical facilities developed by researchers at Texas A&M provides spatial solutions for flawed floor plans that can contribute to medical staff fatigue, cause distractions that hinder quality patient care and increase costs. 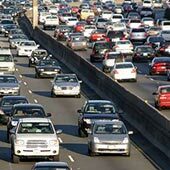 Houston ranks as the sixth-worst U.S. city for traffic congestion in the Texas Transportation Institute’s 2012 Urban Mobility Report, which includes a comprehensive database of traffic congestion and its effects on air quality. 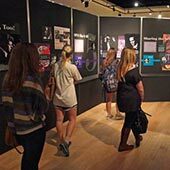 Students designed and fabricated display stands for a photo exhibit celebrating the 40th anniversary of MSC-OPAS by showcasing images from four decades of performing arts venues the organization has shared with Brazos Valley residents. Every spring and summer 2012 graduate from Texas A&M’s Department of Construction Science has an industry job, noted a Jan. 4 Houston Chronicle article. “Builders seem busier and more optimistic, with a need for new talent again in their workforce. That's an indication that the industry is turning around," Joe Horlen, head of the department, told the Chronicle’s Cheryl Rose. Entrepreneurial education and opportunities for students at Texas A&M were enhanced by a three-year, $300,000 Tier One Program grant from Texas A&M, the result of a joint proposal from the College of Architecture and Mays Business School. Peckerwood Garden, a 19-acre trove of rare plants from the southern U.S. and Mexico has earned its founder/curator, Texas A&M Regents Professor John Fairey, recognition from the Scott Arboretum in Swarthmore, Pa.
Senior member of the College of Architecture faculty, Fairey has taught at Texas A&M since 1964. He will receive the arboretum's prestigious Scott Medal and Award 4 p.m. March 17 at the Lang Performing Arts Center at Swarthmore College, which is nestled within the Scott Arboretum. He will lecture after the medal presentation. The teaching of sustainable landscape design, “green” roof construction and research-informed design earned a national education excellence award for Bruce Dvorak, assistant professor of landscape architecture. An emphasis on interdisciplinary education has netted José Fernández-Solís, Texas A&M associate professor of construction science, the 2012 J. Thomas Regan Interdisciplinary Faculty Prize. For his excellent teaching support as visual reference coordinator at the College of Architecture's Technical Reference Center, librarian Ian Muise received the Texas A&M President’s Meritorious Service Award. For his extraordinary leadership as president of the Texas A&M Chapter of the National Association of Home Builders, Alexander Allen, a senior construction science major, received the NAHB's Outstanding Student Award at the group's annual convention last January in Las Vegas. Steve McDowell, director of design and principal at BNIM, a design and planning firm recognized by the American Institute of Architects as its 2011 firm of the year, will speak at Texas A&M’s Rowlett Lecture Series, 1:30 p.m. Friday, April 19 at Rudder Theatre on the Texas A&M campus. Celebrating its 20th year, Viz-a-GoGo, the annual showcase of visualization student work, will take its audience on a time-traveling adventure — in a DeLorean, no less — with a series of interstitial stories paying tribute to the program's heritage. A diverse array of artwork created by faculty from the Texas A&M College of Architecture will be exhibited March 21 – May 19 at the J. Wayne Stark Galleries, located in the Memorial Student Center on the Texas A&M University campus. Urban issues affecting the Texas-Mexico border will be the focus of Dialogo on the Border, a conference sponsored by the Texas A&M colleges of Architecture and Engineering set for April 19-20 in Brownsville, Texas. A diverse group of leaders in architectural design and education are sharing their knowledge and experiences with student as part of the Spring 2013 Department of Architecture Lecture Series. Widely regarded as the world’s leading authority on super-tall buildings, Smith is an outstanding alumnus of the College of Architecture and founding principal of Adrian Smith + Gordon Gill Architecture. Stephen Byrne '75, a popular Texas A&M construction science educator and construction industry leader who helped shaped the top rated construction science program at Texas A&M, passed away Feb. 11 from complications due to back surgery. A high-tech, architectural installation at the Memorial Student Center portraying Texas A&M students past and present, designed in part by a former environmental design student, was activate Friday, Feb. 22, 2013. Anthony Haas ’79, a senior principal at WHR Architects and 2007 Outstanding Alumnus of the Texas A&M College of Architecture, has been elevated to the American Institute of Architects’ College of Fellows. Students gain plenty of “real-world” experience in concrete construction management and preservation while interning in one of two programs led by Tanya Wattenburg Komas ’05, an architecture Ph.D. graduate from Texas A&M University. A list of the 25 most beautiful Houstonians, selected by H magazine for the depth of their commitment to community service, includes Ben Johnston ‘02, a former environmental design student at Texas A&M. 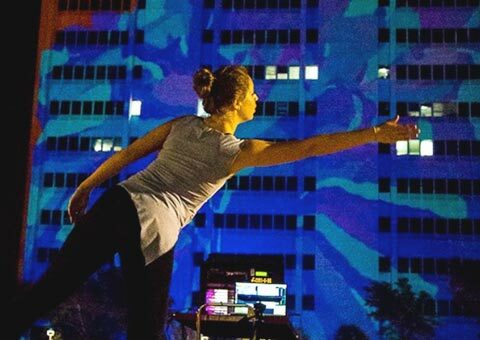 Jessica Feist dances in front of a projection covering the Eller Oceanography and Meteorology Building created by visualization students in an interactive technology and performance class. The experimental performance will be fine-tuned by the students, led by Jinsil Hwaryoung Seo, assistant professor of visualization, for a final performance April 22. See photos on the Viz Lab’s Facebook page.